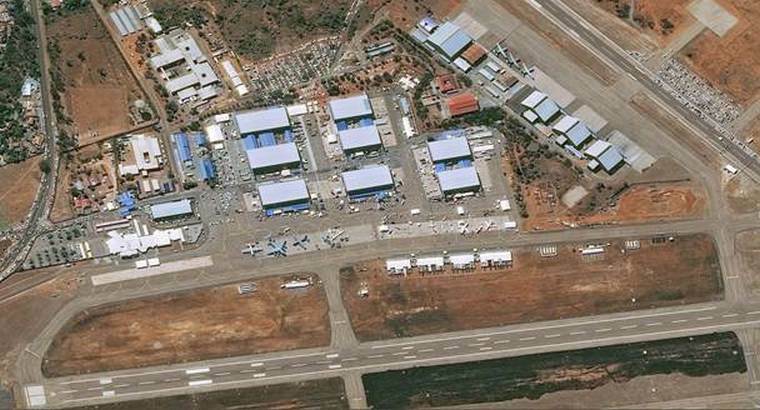 The image of the African Aerospace & Defence (AAD) 2018 airshow at Air Force Base Waterkloof, Pretoria in South Africa was taken by Airbus's Pleiades satellite which passed over the show on Wednesday while in its orbit 500 kilometres above Earth. Airbus provides satellite image and data services to governments, NGOs, industry and organisations involved across a range of sectors, including farming, fisheries, mining, cadastral and land-planning, environmental impact monitoring, disaster response, infrastructure surveillance and security, etc. Photo © Airbus. 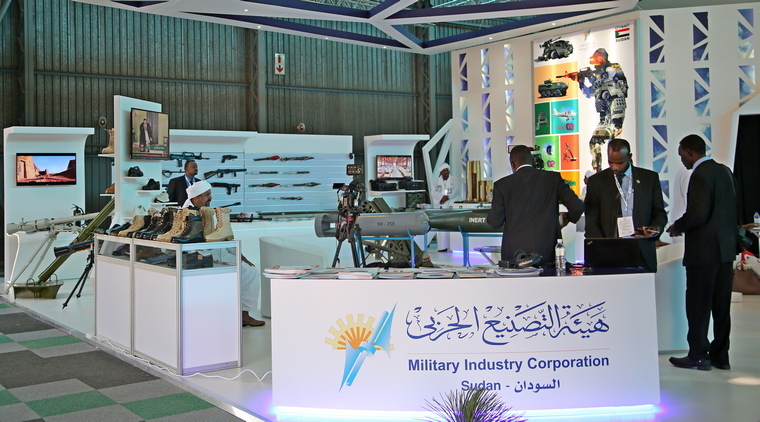 AAD, Africa's biggest defence related exhibition, that is managed on a rotation basis by a partnership comprising the Department of Defence (DOD), Armscor, the South African Aerospace, Maritime and Defence Industry Association (AMD) and the Commercial Aviation Association of Southern Africa (CAASA), opened its doors to trade visitors on 19 September. 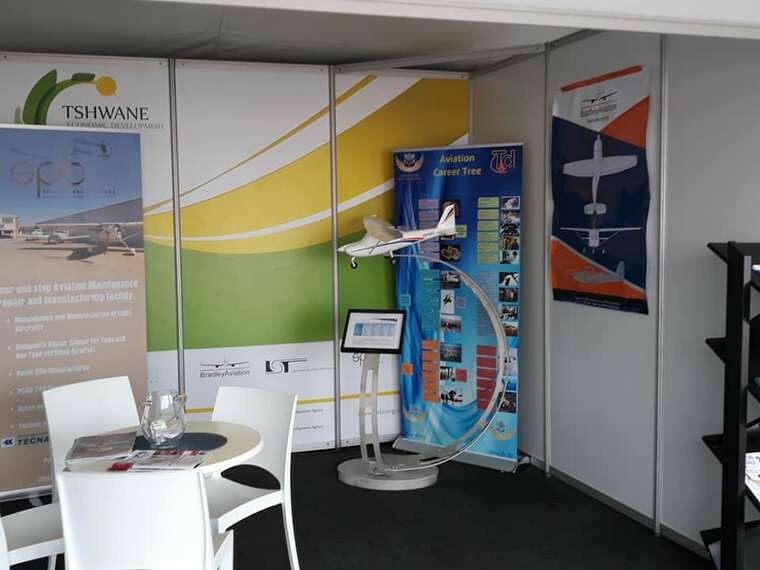 The five day exhibition, three trade days (19-21 Sept.) and two public days (22 and 23 Sept.) was again held to at its long-standing home of Air Force Base Waterkloof in Tshwane. 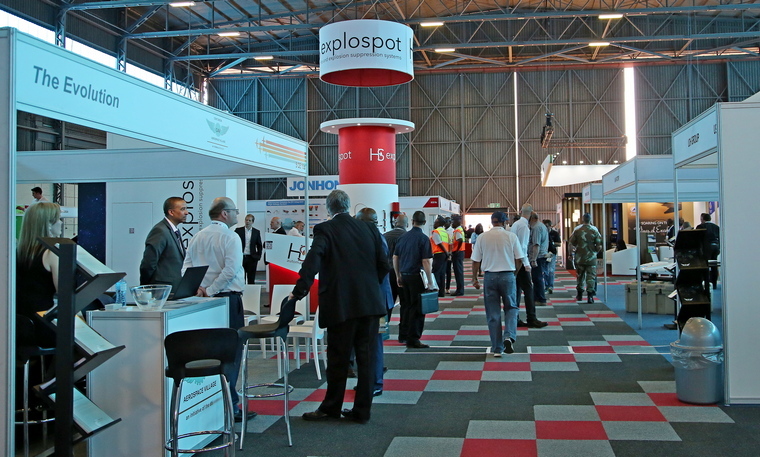 "South Africa views the role of the military in the modern context as a developmental force, both nationally and continentally", this is the view from President Cyril Ramaphosa in his opening address of the 10th Africa Aerospace and Defence exhibition, taking place from 19 to 23 September at the Waterkloof air force base in Pretoria. According to the President, the show brings defence agencies and defence industries together in reflections on the evolution of security and how they must each adapt to the requirements of the future. The President noted the industry's role as an important employer and an incubator of scarce skills in science, technology, engineering and mathematics. "Some of our aircraft-related businesses are expanding in a highly competitive environment as suppliers to the biggest players in the global aircraft industry." The industry is a steady earner of foreign exchange by delivering to the world leading products such as the Husky vehicle for detecting explosives and improvised explosive devices." Airbus announced that Kenya-based DAC Aviation International has received its first Airbus C295 for humanitarian missions in North-East and Central Africa. DAC, which specializes in humanitarian missions in Africa, has leased the aircraft from Dublin, Ireland-based lessor, Stellwagen Group. DAC will be the first African civil C295 operator, reaffirming the versatility of Airbus's medium tactical transport and mission aircraft and its suitability to operate in some of the world's harshest and challenging operating environments. Rostec demonstrates over 280 models of weaponry and military equipment at AAD 2018. Visitors had a chance to see helicopter and armoured vehicles, air defence equipment, patrol boats, small arms, as well as technical means for special units, border protection and especially important facilities. 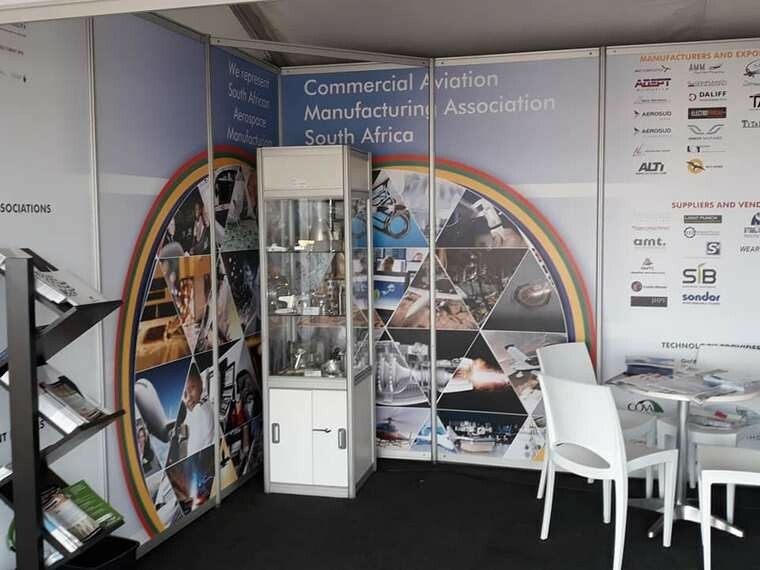 Air BP, the international aviation fuel products and services supplier, returned to Africa Aerospace and Defence as a Gold Sponsor. The company used the event to share how its technical services offer and low carbon solutions can support aviation growth in Africa. Set to be one of the fastest-growing aviation regions over the next 20 years, Africa is a key market for Air BP. It first started operations on the continent 75 years ago in Mozambique and Zanzibar and now provides fuel at around 40 locations across the continent. Proudly South African Bradley Aviation introduced its all carbon high wing aimed specifically at the flight school market. 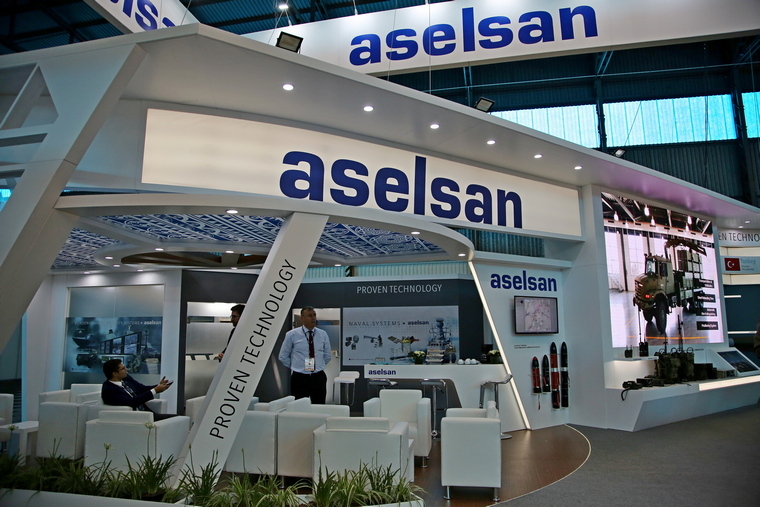 Aerosud Aviation, South Africa's largest aerospace manufacturing company that supplies part to both Boeing and Airbus announced at AAD that as part of the company's new growth strategy it was offering its business solutions capabilities to other companies. The company originally developed the business solution capabilities to meet its own in-house requirements to fit into and coordinate effectively with the supply chains of global major aerospace groups. Aerosud recently delivered its first production parts for a new Airbus A350 contract, which had been signed last year. The company supplies more than 5 000 parts per month to Boeing in an ongoing agreement. These included parts for the 737 MAX and 777-X airliner programmes. 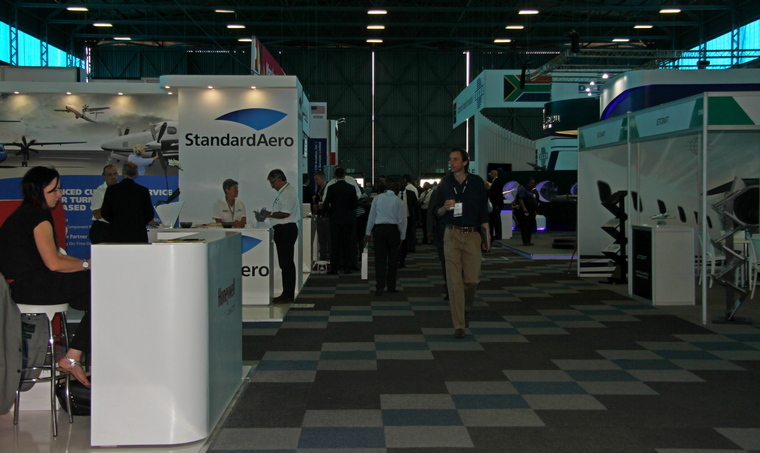 (AAD) is gaining increased attention from exhibitors and other role players in the aerospace and defence field. 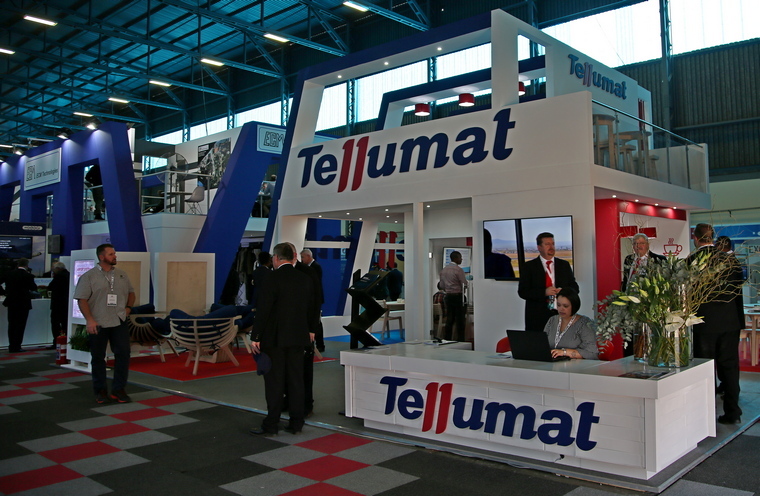 This is exemplified by the 400 exhibitors from 33 countries and the 15 National Pavilions that this year included Lithuania and France as well as South Korea, a new national exhibitor. Other National pavilions were Brazil, Canada, China, Czech Republic, Germany, Italy, Namibia, Russia, Turkey, Poland, USA and the UK. 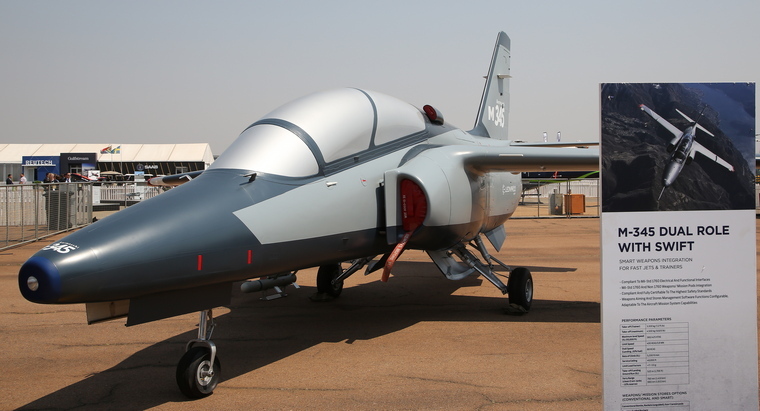 Paramount Group, the African-based global defence and aerospace business announced the launch of its Smart Weapons Integration on Fast-Jet Trainers (SWIFT) mission system targeting air forces around the world as a customised and scalable solution, offering lower acquisition and operating costs. 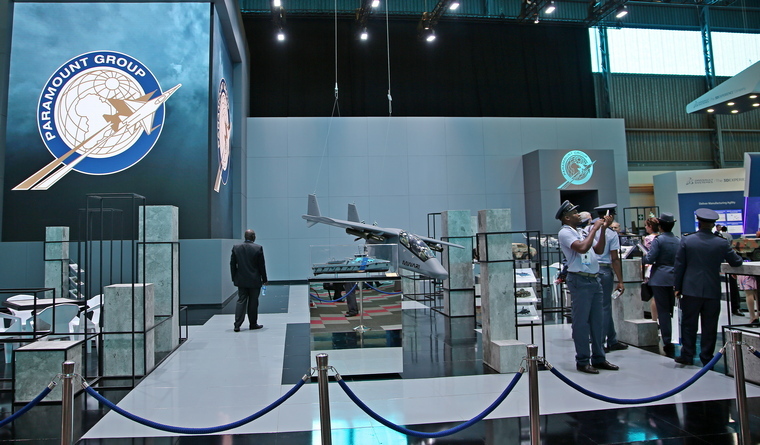 The announcement coincided with the signing of a collaboration agreement with one of Italy's largest defence companies, Leonardo, on the development of a customized SWIFT mission system targeting African Air Forces for its new jet trainer, the M-345, which is on display for the first time in Africa. Building on a strong and trusted foundation of avionics and weapon system integration and mission upgrades over the last 20 years for Rotary and Fixed Wing aircraft, Paramount Group has expanded its FLASH (Flexible Light Armaments System for Helicopters) weapons and sensor suite to fixed wing aircraft. The basic FLASH weapons kit will comprise 70 mm rockets and 12.7 mm cannon pods but this can be expanded to 20 mm cannon pods and guided weapons. The AS550 Fennec demonstrator is fitted with a helmet-mounted display, electro-optical turret, mission display, GPS receiver, air data, attitude and heading reference system (ADAHRS), mission computer, and weapons. Various armament options are available such as FN RMP gun pod; 12 tube rocket launchers; 20 mm cannon pods; Thales FZ unguided rockets; Thales FZ guided rockets; 68 mm guided missiles and Ingwe anti-tank missiles. South Africa's latest long-range artillery system made its international debut at AAD2018. The T5-52 155mm truck-mounted gun system has been developed and manufactured by Denel Land Systems and might soon become part of the firepower in the arsenal of the South African Army. The acting CEO of Denel Land Systems, Ismail Dockrat says the weapon system underscores Denel's global leadership in the design and development of long-range artillery. The gun can fire up to seven rounds a minute and effectively destroy targets at ranges between 30km and 43km, depending on the types of projectiles loaded. The new T5-52 has the same ballistic system, fire power, range and accuracy as the G5. However, it is more mobile and cheaper to operate and maintain, in line with the global trend towards wheeled artillery systems. The gun is mounted on a TATRA 8X8 truck which is able to traverse extremely difficult terrain and support forces in the most rugged conditions. The air-conditioned cabin provides the five crew members all-round protection against small arms fire and counter-bombardment fragments. The gun can be brought into action within 50 seconds and fire at a sustained rate of three rounds per minute. This can be increased to seven round per minute or three round every 15 seconds for short periods of intense action. The gun can engage targets with direct fire over an arc of 180 degrees to the rear. This flexibility ensures that it can be deployed in the traditional gun, howitzer, mortar and direct firing roles. Rostec has suggested implementing the Government's idea to replace helicopters older than 25 years in Russia based on the leasing scheme. The measures can be supported by the state program facilitating purchase of new aircraft for air carriers. The suggestion was announced by Director of the Aviation Cluster of the state corporation Anatoly Serdyukov. The Russian fleet of civilian helicopters numbers about 1,800 helicopters, over 60-70% of which have been operated for 25 years and longer. Most of those helicopters were put into operation as early as at the beginning of the post-soviet period, and a considerable part of the aircraft was purchased by air carriers in early 1990s. According to the aircraft register, the Russian fleet mostly consists of Mi-8 helicopters. Due to the long-standing need to replace a part of the Russian helicopter fleet, Rostec suggests measures that would facilitate purchase of new aircraft for air carriers. The Rostec Corporation's initiative on replacement of obsolete helicopters is primarily intended to improve flight safety. A life cycle of any aircraft ends over time. Therefore, manufacturers have to suggest new solutions in the market in order to make it easier for companies to purchase new helicopters. A new feature on the AAD2018 programme was the seminars, covering topical subjects such as "Cyber Security" and "The Future of Drones". Seminars at major exhibitions have gained popularity worldwide, both as a means to convey key capabilities in a specific field to the top-level decision-makers attending the exhibition and to enable the industry to engage on a wider front. CADG's Helix ISR Platform consists of an aircraft and ground control station to deliver a complete ISR solution. The platform utilizes an ES-15 Single Engine Aircraft as the system's aircraft which is equipped with Hensoldt's Argos II camera along with 2 additional hard points for payload integration. Payloads are entirely customizable with the client choosing their preferred payload options. The payload outputs are all transmitted via data link to a Ground Control Station where the intelligence is viewed in real time. The components of the Ground Control Station are ruggedized allowing high mobility and rapid deployment for ISR missions. CADG's Helix ISR platform is a flexible and customizable solution that is unrestricted with unlimited uses. 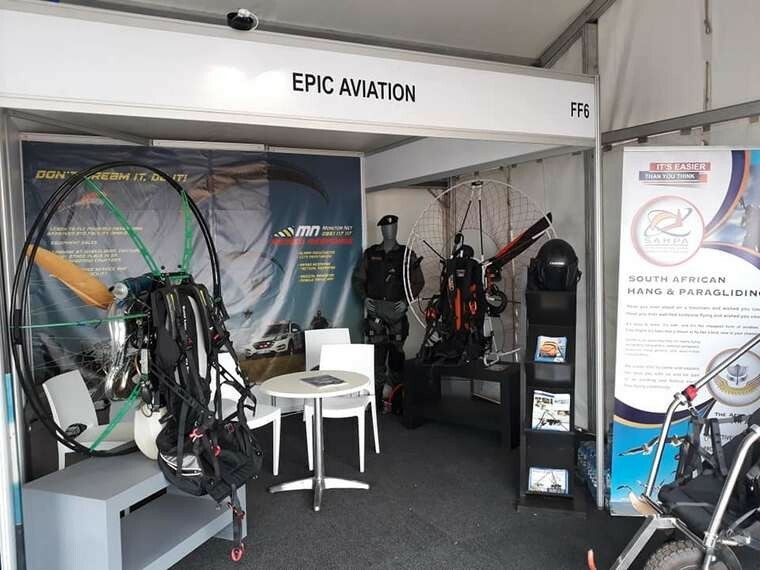 The Aero Club of South Africa participated at this year's African Aerospace and Defence (AAD) show this year in the form of a Fun Fly Park which was located in the static aircraft part next to hangar 6, being well located with front row seats to the show area. The Aircraft Static Display Area in the Fun Fly Park. Originally planned to have 10 stalls to feature recreational aviation, the Aero Club eventually were able to secure 6 stalls and a number of outside aircraft displays, in a very nice layout which attracted many visitors. 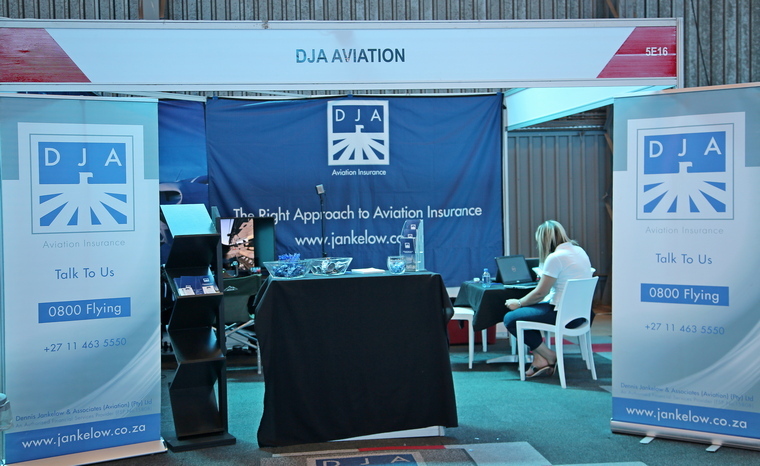 The first three days from Wednesday to Friday were trade days and had many people from industry visit and were able to network with the exhibitors, and on Saturday and Sunday the public were out in large numbers and visited the exhibits and talked to our representatives to find out more about recreational flying. The Tshwane Development Agengy (TEDA) sponsored exhibit with some new developments. The exhibitors were Adventure Air, Epic Aviation with their paragliding show, 43 Air School, Safety First Aviator, Mayday South Africa, Stemme motor gliders, the Tshwane Economic Development Agency (TEDA) who supported Sport Plane Builders (SPB), Bradley Aviation (who brought a model of their new trainer design), ADEPT Airmotive, LST (Lightweight Structures Technology) and Aerostructures. 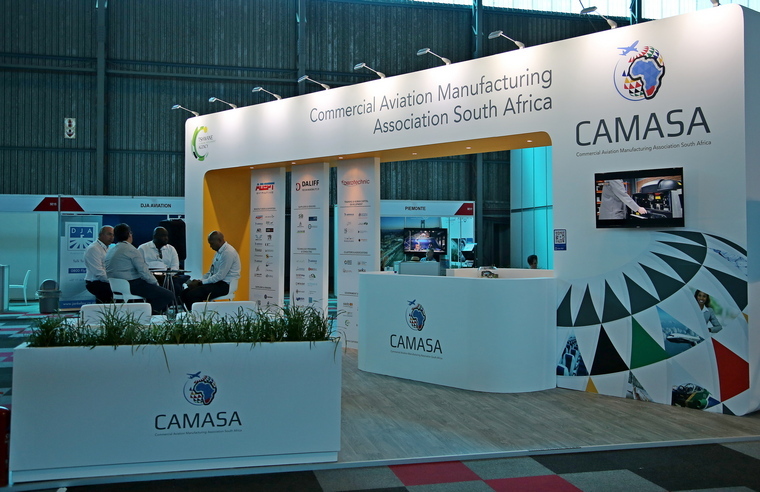 Also present was CAMASA (Commercial Aviation Manufacturing Association) representing around 50 manufacturing entities in the aviation world in South Africa. In the aircraft display area, Adventure Air brought their latest RV7 ZU-IKE, Jonker Sailplanes brought one of their export versions of their latest JS3 Raptor glider, Slick Aircraft brought their one of a kind Formula GT, Sport Plane Builders brought their latest Ravin ZU-TNF that also took part in the "Designed and Manufactured in South Africa" fly-past, LST brought a very large 9 m Nimbus 4T glider which attracted significant interest. Fun Fly Park Exhibition Area. 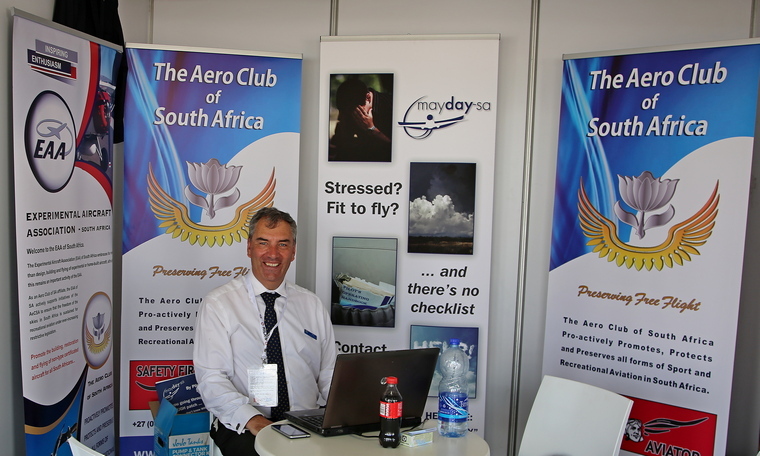 This was a very successful exhibition for Recreational Aviation in South Africa, and a good format to follow for the Centenary event in 2020, where we would like to have all the Aero Club Sections in attendance to showcase fun flying. The Nimbus 4T 9 m model glider. 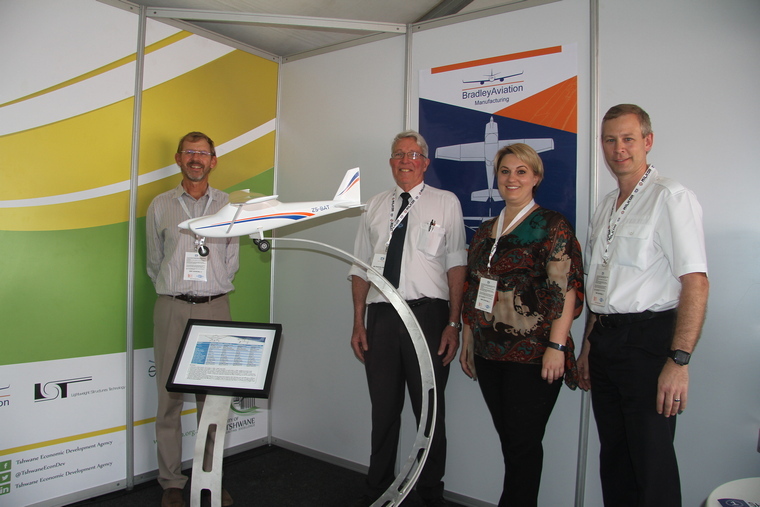 Many thanks extended to the Aero Club Exco for supporting this event, the exhibitors for taking their time to display their products and aircraft, Uys Jonker from Jonker Sailplanes, Justus Venter from Slick Aircraft, Peter How from Stemme, Chris Adrian from LST, Kylie Burnett, Gerda Pienaar and Wendy Santilhano from Mayday South Africa, Riaan Struwig from Epic Aviation, Yolande Milne from Adventure Air, Lindi van Dyk from 43 Air School, Pierre vd Walt from SPB, Karin Liebenberg from TEDA, Johan Steyn from CAMASA. The CAMASA Exhibit with manufactured items in a show case. 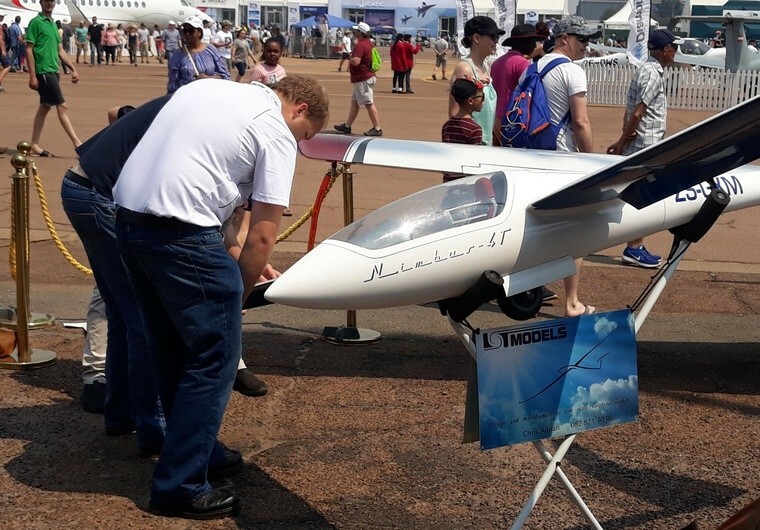 Over the years AAD has proved that it is the premier exhibition of air, sea and land technologies in the southern hemisphere and this year it again lived up to expectations. 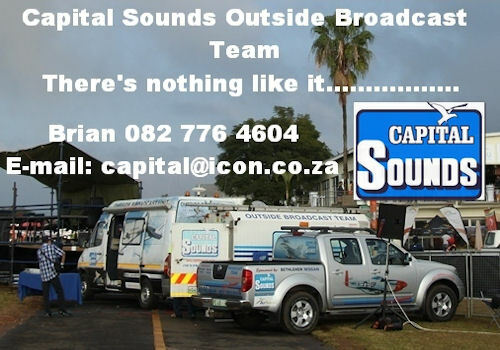 ADD is likely to inject more than R800 million into the local and regional economy and its impact will also be felt for years to come through new business relationships that will lead to contracts for the South African defence and technology sectors.